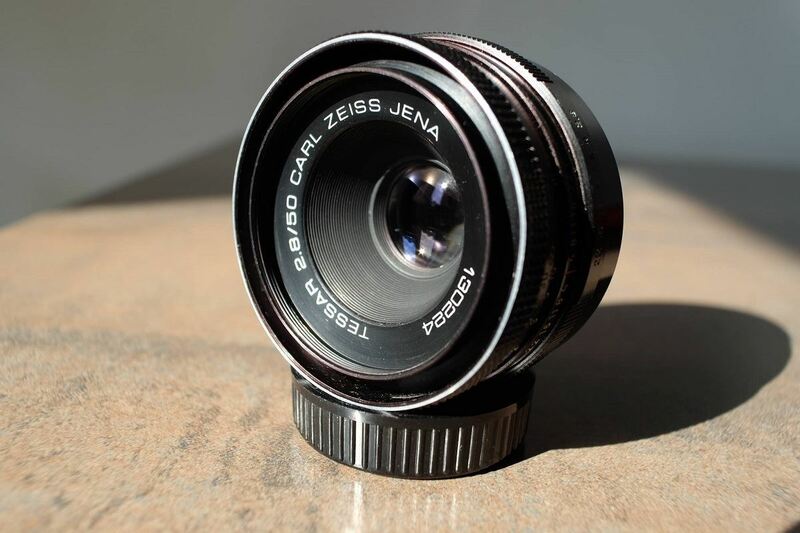 Carl Zeiss Jena is the Eastern branch of the legendary Carl Zeiss Company and appeared under this name after World War II. At that particular time Carl Zeiss, which had been founded in Jena in 1846 as an optics workshop, was divided between the two German states. One part of the company continued production in Jena, the German Democratic Republic, while the other relocated in Oberkochen, West Germany. Carl Zeiss Jena built lenses in the M42 and Exakta mounts. Later they also used the Prakticar bayonet system. The company not only produced camera lenses, but also binoculars, industrial optics and optical equipment for the military. When sold in Eastern European countries, the lenses were named "Carl Zeiss Jena". But when sold in the Western countries, they were branded simply “aus Jena” or just "Jena", as Carl Zeiss West Germany had the right to use the original name. Their portfolio includes many generations of lenses such as the Tessar, the Sonnar, the Pancolar and the Flektogon. Through the years, their lenses had different exterior designs and trims: the older ones were chromed and then came the "zebra" type. The latest generation of classic Carl Zeiss Jena lenses was made of plain metal with red or green markings. The Western branch also developed the Sonnar and the Tessar, albeit in different focal length, along with other lens series such as the Biogon, Distagon and Planar. Optics-wise, the quality of Jena lenses was very solid. Mechanically though, their quality differed, from very good for the most part of their existence to only good in the final years (late 1980s - early 1990s). In fact, we consider that they cannot match the build quality displayed by premium Japanese lenses, such as the Takumar series made by Asahi Pentax. Compared to other German brands, Carl Zeiss lenses have a certain reputation and which hasn't been surpassed as time went by. The 20mm f2.8 Carl Zeiss MC Flektogon is probably the best ultra wide angle lens in the M42 mount. It was the last incarnation of the Zeiss aus Jena ultra wide series that started with the 25mm f4 Flektogon and was then followed by the 20mm f4 Flektogon. The lens looks and feels special, as build quality seems better than in other Zeiss lenses. Ergonomics is great, as there is a big focusing ring that's very easy to operate. Even optics-wise the lens stands out since sharpness is great and color rendering is very accurate. The way the 20mm Flektogon reproduces details when focused to infinity is a mark of the quality of the glass and makes this lens an excellent choice for architectural or establishing shots. 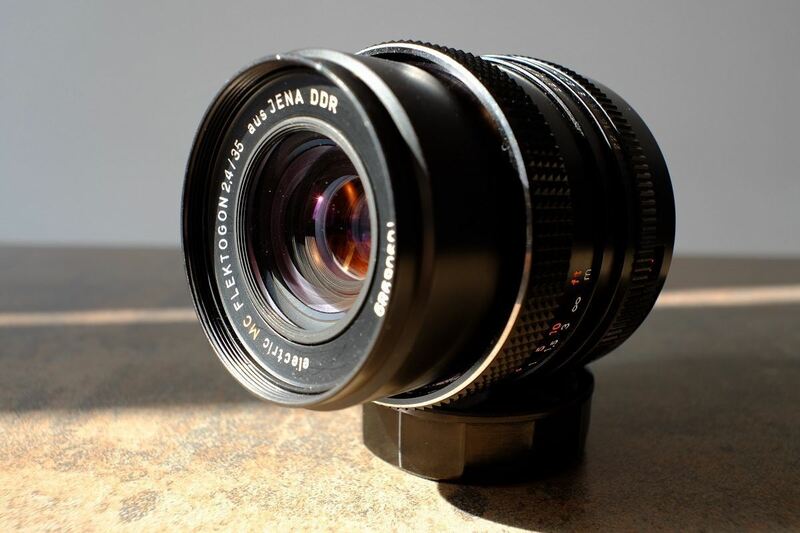 The 20mm f4 Carl Zeiss Flektogon is a rare ultra wide angle lens. It came in several versions, such as the more common zebra version and the rare all black version. From a historical perspective, this lens replaced the 25mm f4 Flektogon. Aperture remained the same, but Zeiss engineers managed to achieve a 20mm focal length. One of its selling points is the “zero” distortion, which makes it a first choice especially for architectural photography. Ergonomics and build quality are good. Optics is solid, but note that this lens is not multi-coated, so those who wish for a more neutral look should focus on the MC version instead. The 25mm f4 Carl Zeiss Flektogon is a rare wide angle lens that's very hard to find today, especially in good condition. It is the first of a wide angle lens series that continued with the 20mm f4 and f2.8 MC Flektogons. In terms of design, the 25mm Flektogon represents the starting point from which the series would later develop. Its optics is good, but remember that this is an old single coated lens, so you shouldn't expect the same raw performance that you'd extract from a newer multi-coated version. The 25mm f4 Carl Zeiss Flektogon has a minimum focusing distance of 0.2m and it weighs around 350g. Filter diameter: 77mm. The 35mm f2.4 Carl Zeiss Flektogon MC is a fast wide angle lens that displays solid performance and construction. The lens is sharp and has a very good minimum focusing distance. The f2.4 MC is the evolution of the older f2.8 single-coated Flektogon, which you'll find below. 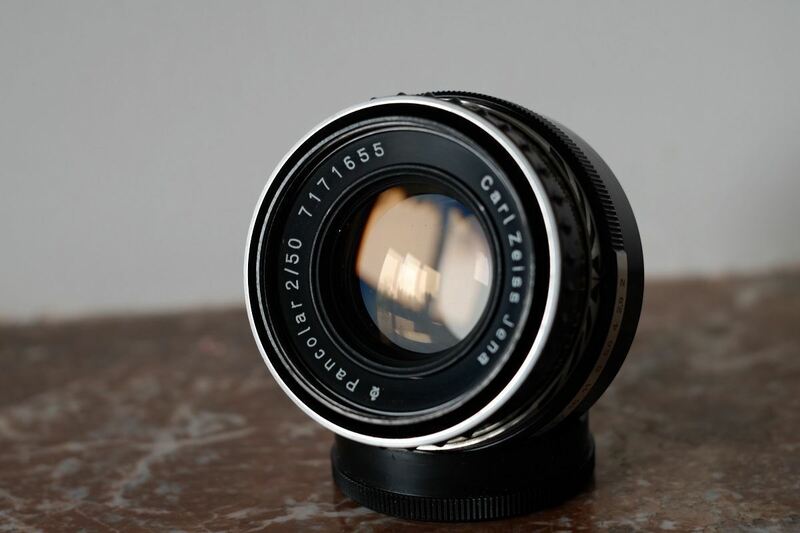 The Flektogon 35mm series is one of the best from Carl Zeiss and was gradually developed since the 1950s. The optical formula was also adopted by the Russian Mir. The 35mm f.2.4 Flektogon has a minimum focusing distance of 0.20m, weighs 224g and has a 49mm filter. Number of blades: 6. The 35mm f2.8 Flektogon is an intermediate version of the well known 35mm Flektogon family. Chronologically, the zebra Flektogon stands between the first all-chrome version and the multicoated version of the series. This lens can be found in both the M42 and the Exakta mounts, the latter being somewhat harder to find. The 35mm f2.8 Flektogon has the same reputation as his younger brother, the 35mm f2.4 MC Flektogon - note the slightly difference in aperture between the two lenses. Optically this lens performs very well, it is very sharp and has a good minimal focusing distance of 0.18m. The 50mm f1.8 Carl Zeiss Pancolar MC is a fast standard lens, the workhorse of 50mm lenses made by Zeiss aus Jena. It was built over a large time span and had several designs in the M42 mount, such as the older zebra or this newer multi-coated version. From an optical point of view it is a solid lens that has both very good sharpness and color rendering. Build quality is good, but as it is the case with all Zeiss lenses, the Pancolar is inferior to its Japanese counterparts. The most common mechanical flaw is that the aperture blades get stuck. Moreover, in our opinion, older versions do focus a little smoother than the newer ones. All in all, the Pancolar doesn't disappoint as it performs very well in a variety of scenarios, both on film and on digital cameras. 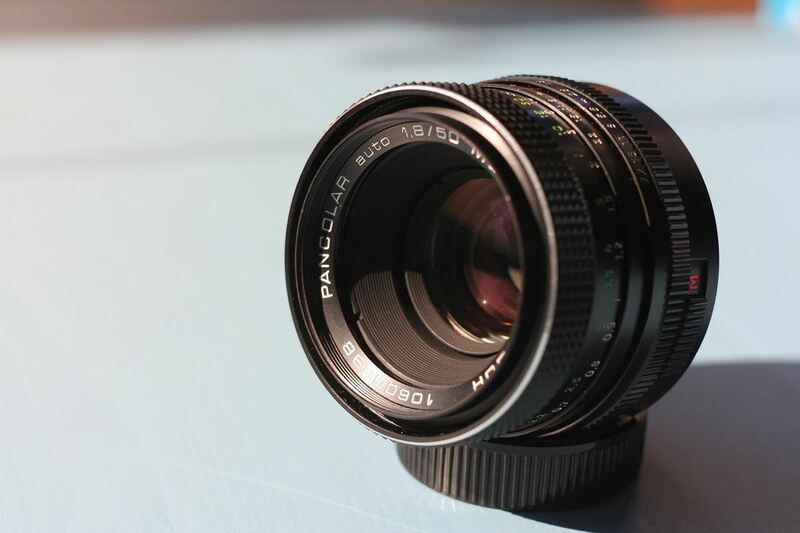 The 50mm f1.8 Carl Zeiss Pancolar MC has a minimum focusing distance of 0.35cm and it weighs around 220g. Filter diameter: 49mm. Number of blades: 6. The 50mm f2 Carl Zeiss Pancolar is apparently the first of the series and the one that's the hardest to find. This version has a slightly slower aperture of f2 than the recent ones and is also different in terms of its design and dimensions. It is both lighter and smaller than the f1.8 versions. In addition, usability is a little better as focusing is smoother and more precise. The Pancolar f2 is a single-coated lens but we really like its distinct cut, both sharp and delicate. Another distinctive feature of this lens is the special aperture marking design, which is somewhat similar to that found on A.Schacht Ulm lenses. 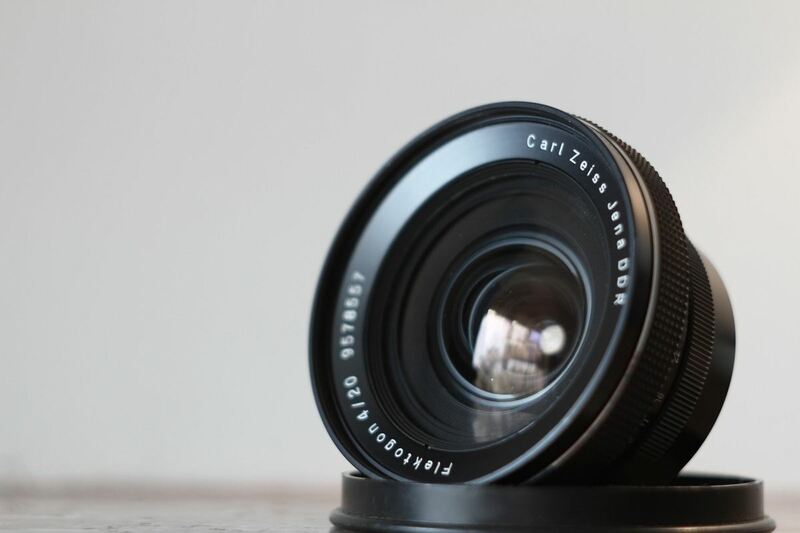 The 50mm f2 Carl Zeiss Pancolar has a minimum focusing distance of 0.5m and it weighs around 180g. Filter diameter 49mm. Number of blades: 6. 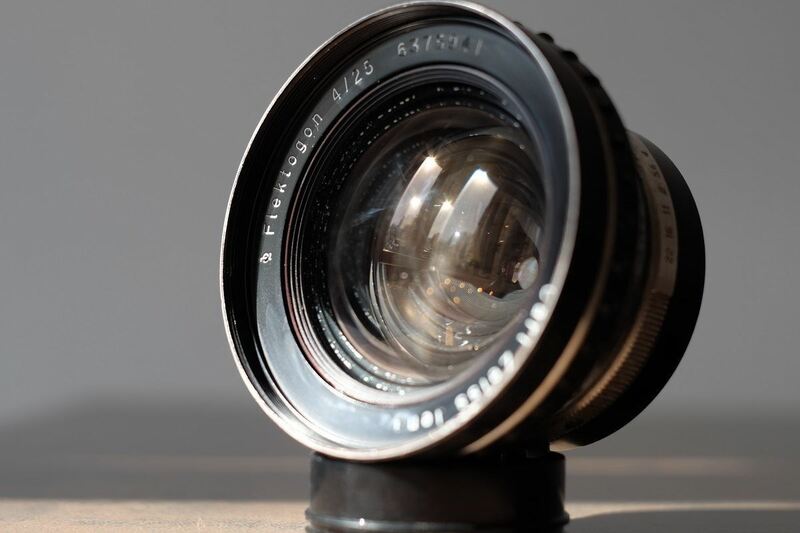 The 50mm f2.8 Carl Zeiss Tessar is a standard lens, one of the most iconic vintage lenses produced in Eastern Europe. 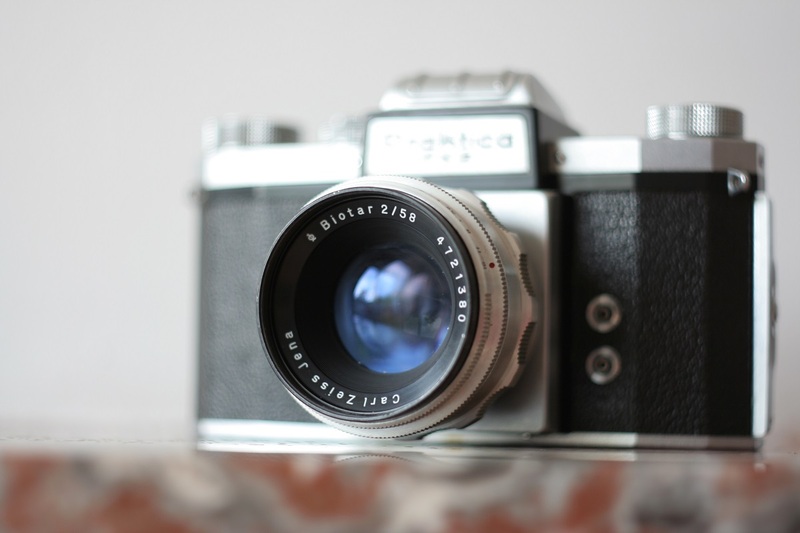 Through the years it equipped many of the 35mm film cameras sold in the former Soviet Bloc. However, the history of the Tessar goes way back, as its optical formula dates back to 1902. Then the German physicist Paul Rudolph, who worked at Zeiss, developed this so called 4 elements in 3 groups construction that made Tessar one of the most successful vintage lenses ever made. The Tessar was made in numerous mounts and evolved under Zeiss, but the optical formula was also incorporated in other lenses such as the Soviet Industar 50-2. Note that many modern lenses found in mobile phones and entry level digital cameras only share the name with the Tessar. The 50mm f2.8 Tessar was launched at the beginning of the 1950s in an all chrome version and was followed by a zebra version and then by a black version, with green or red markings. Some versions are marked with a red T, which indicates that they have a multi-coating layer. 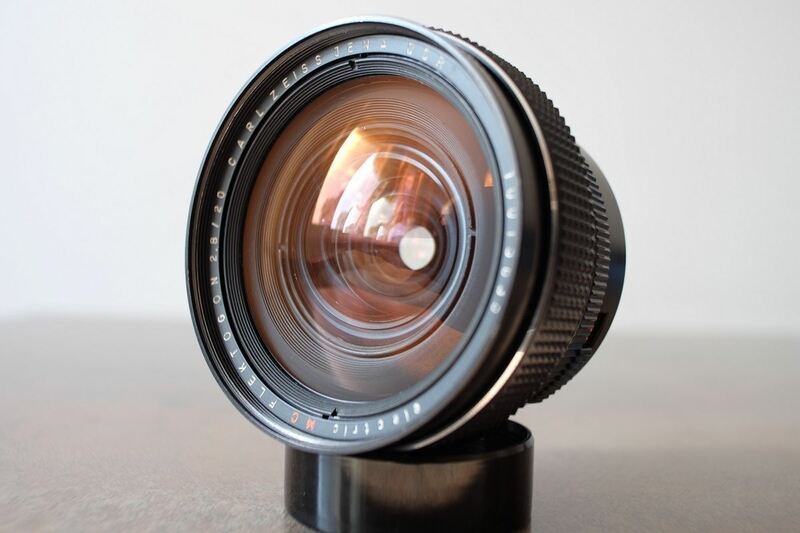 Today, 50mm f2.8 Tessar are often overlooked mainly because people think that this is a slow lens and probably because they are the cheapest Carl Zeiss vintage lenses. It may be so, but the qualities of the Tessar go beyond this f2.8 maximum aperture, as the lens performs really well when kept in the f5.6-f.8 range. Also, images look sharp and distinctive on both film and digital. 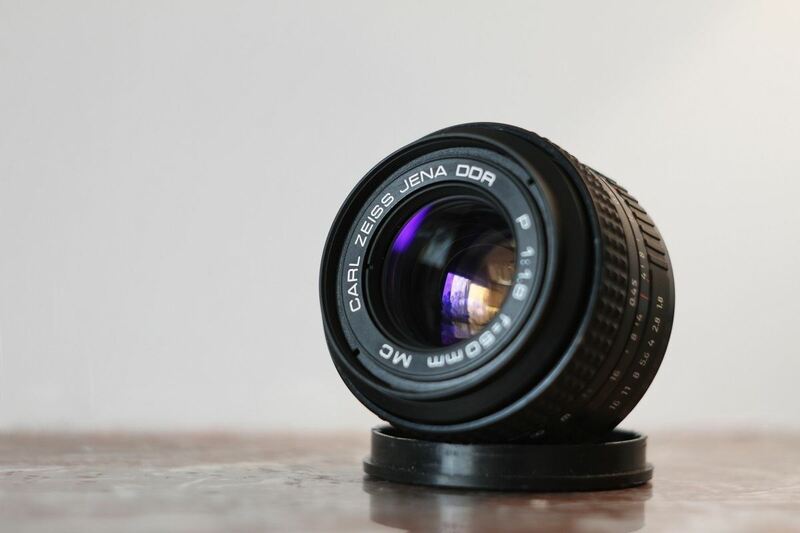 The 50mm f2.8 Carl Zeiss Tessar has a minimum focusing distance of 0.35m and weighs around 170g. Filter diameter: 49mm. Into the late 1980s, Carl Zeiss Jena developed two zoom lenses, the 80-200mm f4 Vario-Sonnar was one of them. 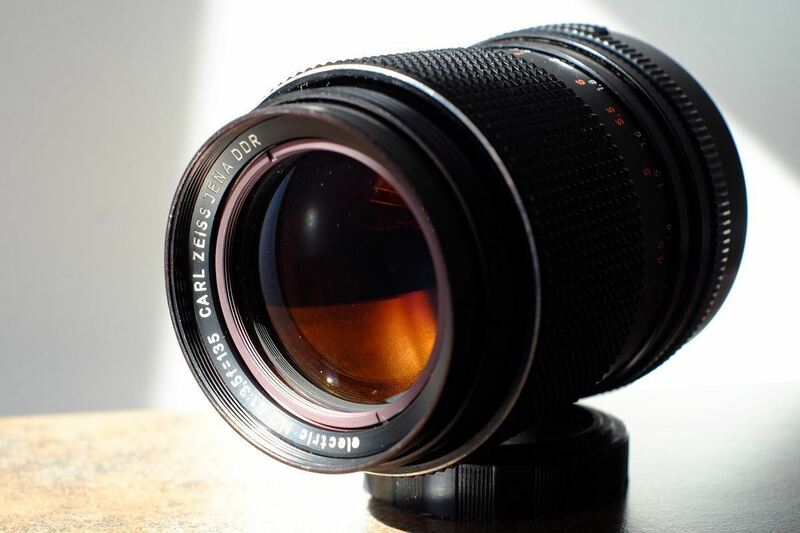 The Carl Zeiss Sonnar 135mm f3.5 is a well known lens that formed the backbone of Zeiss aus Jena medium telephoto line. Its optical design dates before WWII and has been improved ever since. It has also been copied by the Russians, so the 135mm f4 Jupiter-11 is powered by the very same formula. There are several versions of the Sonnar: the oldest f4 chrome version, the newer zebra non MC f3.5 and the MC version, which was also the last of the classic aus Jena lenses. The MC versions are relatively easier to find than the zebra versions, which are perceived as being more “classical”. Regardless of the version, the Sonnar has a minimal focusing distance of 1m – bettering most of the bunch. Newer versions are lighter (368g vs 424g - the older version), all take 49mm filters. 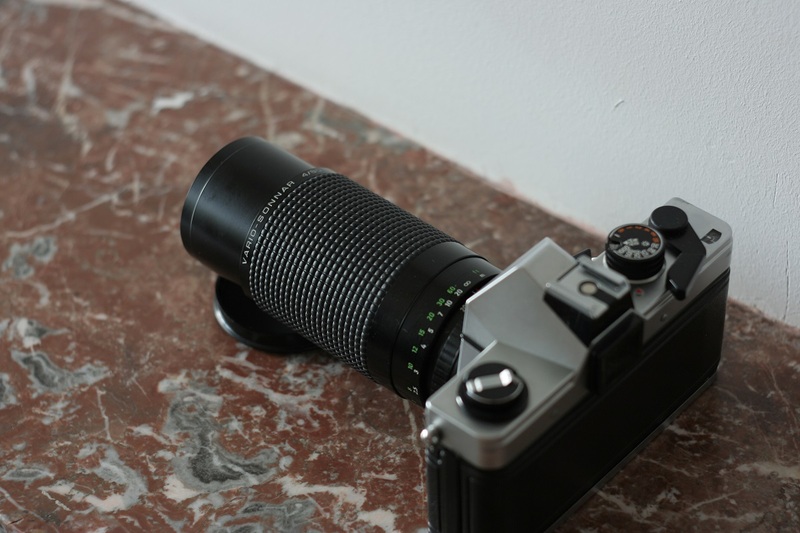 In the late 1980s VEB Pentacon Dresden was merged with Carl Zeiss Jena. 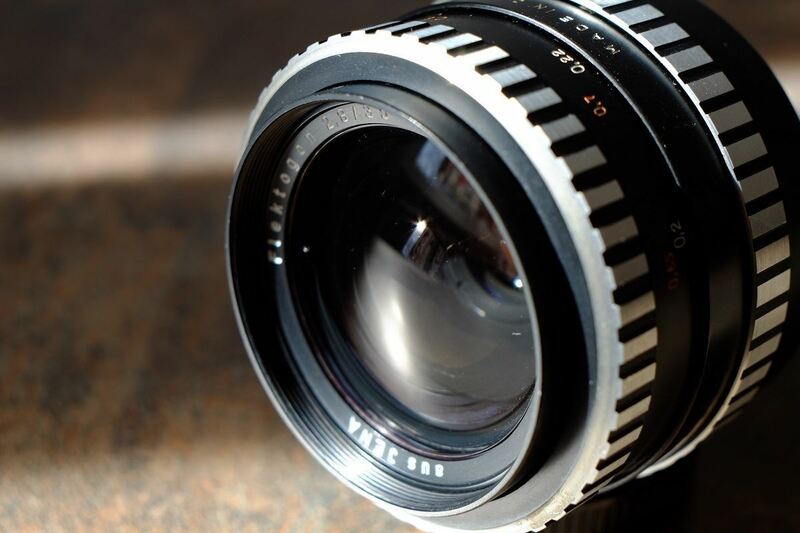 This lens is one of the last versions of the Pentacon 50mm f1.8. The lens uses the Praktica bayonet system. It is unusual but this lens has a minimal focusing distance of only 0,45m, where the Pentacon had 0,33m.